Appliance and Air Conditioning Repair in Aventura, FL, Hollywood, and South Florida. 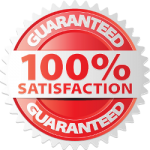 Looking for a reliable, honest, factory trained and certified appliance repair or air conditioning repair provider in Aventura? All Aventura Appliance & AC Repair is here to help! With over 20 years of experience, factory trained and certified technicians only! The nicest appliance and AC repair specialists, we are Aventuras premier choice for all of your repair needs, while there are other services online like the Appliance Repair Murfreesboro to help with different kind of appliances. Our Vans are always stocked with parts from: GE, Sub Zero, Viking, DCS, Bosch, Kitchenaid, Amana, Uline, Maytag, Frigidaire and more, we are able to finish most of our jobs on the first visit, save you time and aggravation. A: This may be due to a number of things one of them being your motor bearings wearing out. A: This may be a a result from a clog in the drain line, we can help you with that. A:This may be from a clogged vent system or a thermostat that’s defective. Call us up! A: This sounds like your dryer may be having lint fires inside which can cause your clothes to smell. A: The water may be coming from the defrost drain pan or the ice maker water valve/line. Q: My GE Fridge has a lot of ice in the back and is not keeping the right temperature. -Andres, Miami,Fl 33219. A: You should disconnect your fridge, defrost the ice and then clean the condenser. Only plug the refrigerator back in once all of the ice is melted and the fridge is dry. 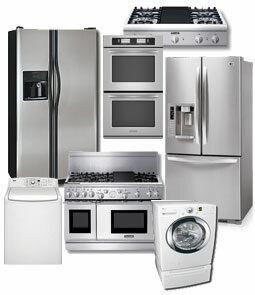 Need appliance repair service in Houston? Click to check our good friends website. Its hard to find a professional company. You guys reached my expectations when you repaired my old range. Thanks to you guys I didn't need to buy a new one! All Aventura Appliance and AC Repair (888) 710-2604 2780 Northeast 183rd Street Aventura FL, 33160 USA 5.0 5.0 1 1 Its hard to find a professional company. You guys reached my expectations when you repaired my old range. Thanks to you guys I didn't need to buy a new one! © All Aventura Appliance and AC Repair, all rights reserved.